By all rights, Radium Girls should have been amazing. Based on a true story, this film tells the tragic young women who painted radium onto watch dials until their bodies literally crumbled from the inside because hey, it turns out radium isn't great for you. It feels like the moment is ripe for a story like this, with its focus on the injustice done to women and the importance of workers' protections. (Fun fact: over the past year and a half, Scott Pruitt and his crew have repealed over SIXTY laws that protect workers and consumers, so that's pretty cool.) But sadly, the creators of this film, although passionate about the subject matter, lacked the experience to give it the treatment it deserves. Joey King and Abby Quinn play a pair of teenage sisters, Bessie and Josephine, who work at a radium factory in New Jersey. They are paid by the piece and told that the most efficient way to paint the dials is to stick the paintbrush in their mouths, using saliva to create a perfect point. Bessie refuses this technique because she doesn't like the taste of the radium paint, which is a lucky thing for her because we soon find out that after the girls' jaws start falling apart that this may not be the safest way to earn a living. The film follows the girls and some of their colleagues as they attempt to sue the radium factory, insistent that its owners were aware of the danger that radium posed but allowed their workers to be exposed anyway, and even discouraged them from taking basic precautions that may have saved their lives. This is a tragedy of big business exploiting their vulnerable employees, one that becomes particularly poignant given the youth and gruesome deformities of its victims. Especially repulsive is the practice the companies frequently employed to cover up the deaths of their workers, often getting doctors to list syphilis and other reputation-destroying venereal diseases as their cause of death. Throughout the film you can see many instances where the treatment of these women is very gendered, both in the refusal to take their assessment of their own symptoms seriously (at one point Josephine begins losing teeth and a doctor primly lectures her on the importance of personal hygiene) and the struggle to finds lawyers willing to take on a case representing a group of girls. But unfortunately. as compelling as the story is, it fails to rise above amateurish direction, bad writing, and low production values that give it the feel of a mediocre made for TV movie. The direction has no particular visual style, and elements that could have given it a unique narrative voice (the obsession the girls have with ancient Egyptian mysticism could have had a greater stylistic influence) aren't utilized to their full potential. The dialogue is stilted and rife with anachronisms that make it feel strangely disconnected from the period. Both the writer and one of the co-directors have a background as documentary archivists which is frequently used as a crutch, as old-timey footage that only vaguely relates to the film is placed slapdash throughout. There is a sense that this is done whenever they were unsure of how to make a scene transition. The filmmakers should be commended for their desire to the story of the black activists that are tangentially related to the main plot. But at the end of the day, not enough time is devoted to their unique plight to make it worthwhile, and all it succeeds in doing is muddying the waters of the narrative. Despite some solid performances and extraordinary source material, Radium Girls is unable to overcome its very significant weaknesses and instead leaves the viewer wondering what would happen if this story was ever placed in the hands of an experienced filmmaker with an actual budget to work with. 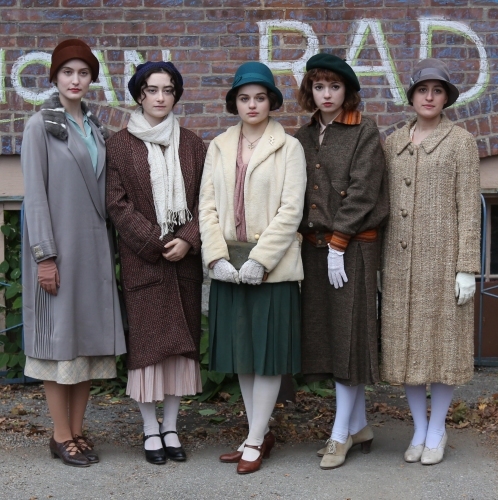 There is an excellent Radium Girls narrative feature out there somewhere, but unfortunately this isn't it.